Kazakhstan and Russia will continue strengthening allied relations and strategic partnership in the interests of their peoples, President Kassym-Jomart Tokayev said in an interview with the Rossiyskaya Gazeta daily ahead of his first visit to Russia. The two countries have no problems that could not be solved constructively, on the basis of principles of good-neighborly relations and mutual respect. “Our first president and national leader Nursultan Nazarbayev used to say that Kazakhstan and Russia are God-given neighbors. We will always be together for the sake of the basic interests of our peoples,” the president stressed. Tokayev said his upcoming talks with President Vladimir Putin would focus on the strengthening of allied relations and strategic partnership. “I am grateful to Vladimir Vladimirovich Putin for the invitation coming shortly after the inauguration,” the Kazakh president said. “This is my first visit as head of state, and I am happy to have an opportunity to confirm indissoluble bonds of friendship, allied relations and strategic partnership between our countries,” he summed up. On March 19, Kazakhstan’s first president Nursultan Nazarbayev, 78, announced his surprise resignation after 30 years in power. 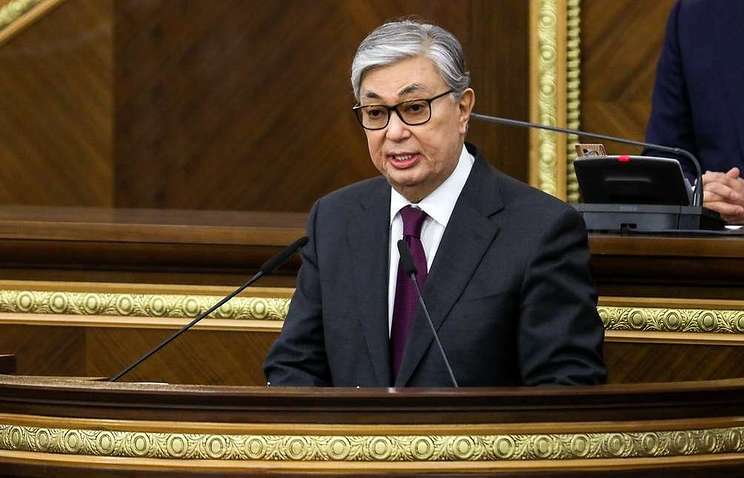 Senate Speaker Kassym-Jomart Tokayev, 65, was sworn in and assumed the post of the Central Asian country’s president, vowing to maintain Nazarbayev’s strategic course.